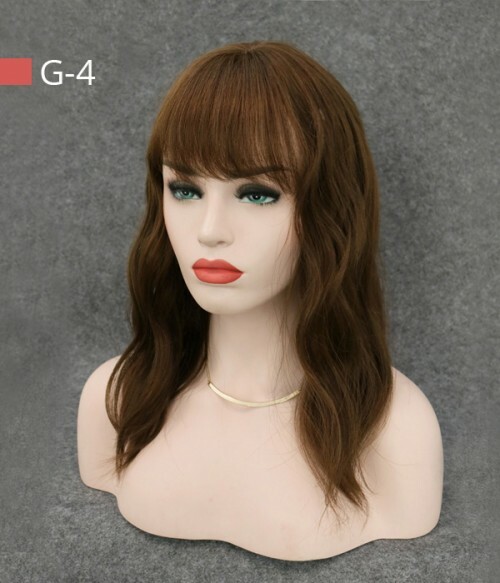 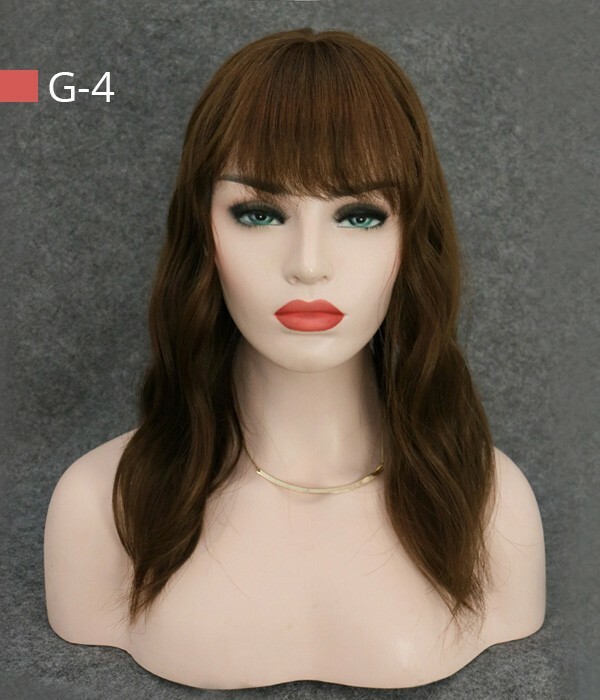 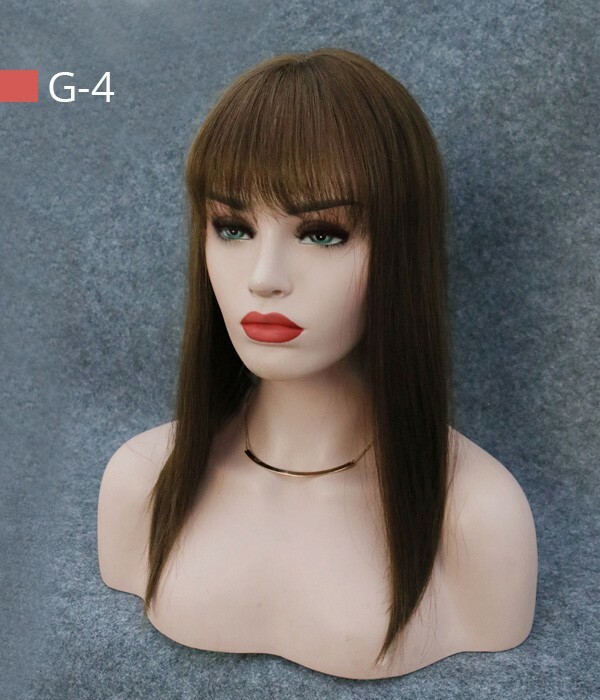 The 6"x6” Amber topper with bangs is a clip in hair topper that adds seamless volume and coverage on the top of the head and along the parting. 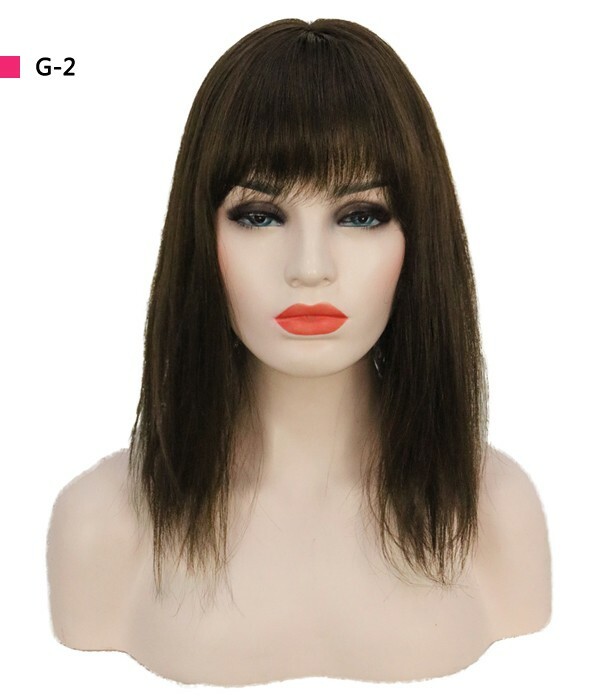 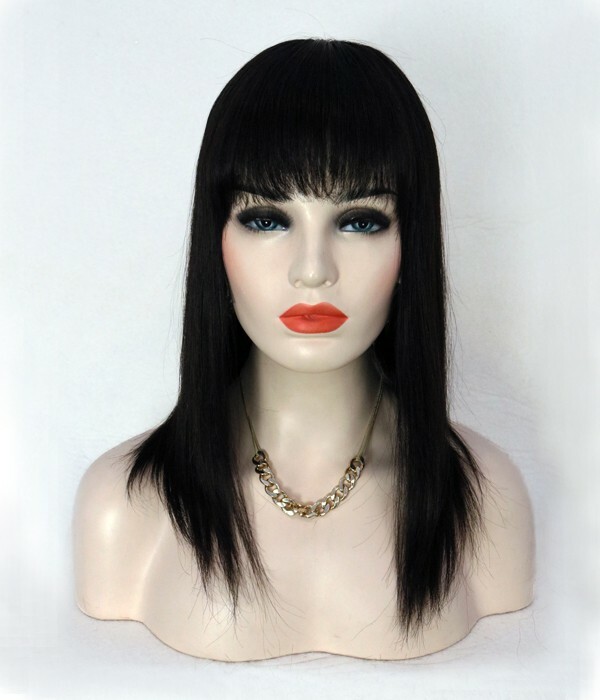 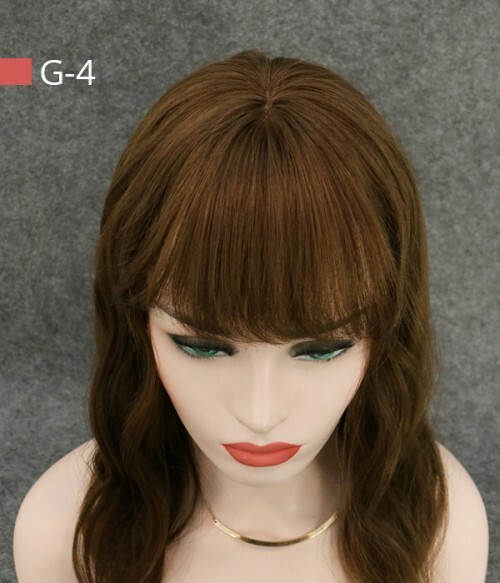 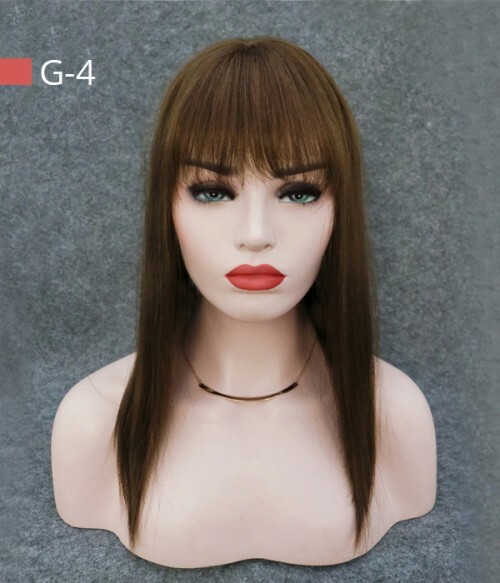 It has bangs, which help you to avoid the concern of an unnatural hair line. 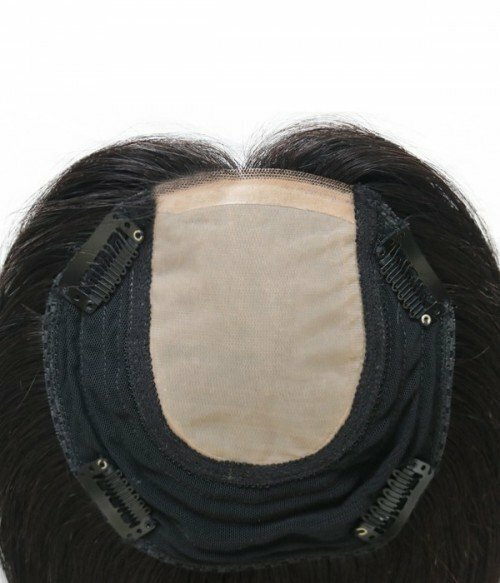 It also features a silk top which makes the knots 100% invisible and gives the illusion that the hair is actually growing out from your scalp. 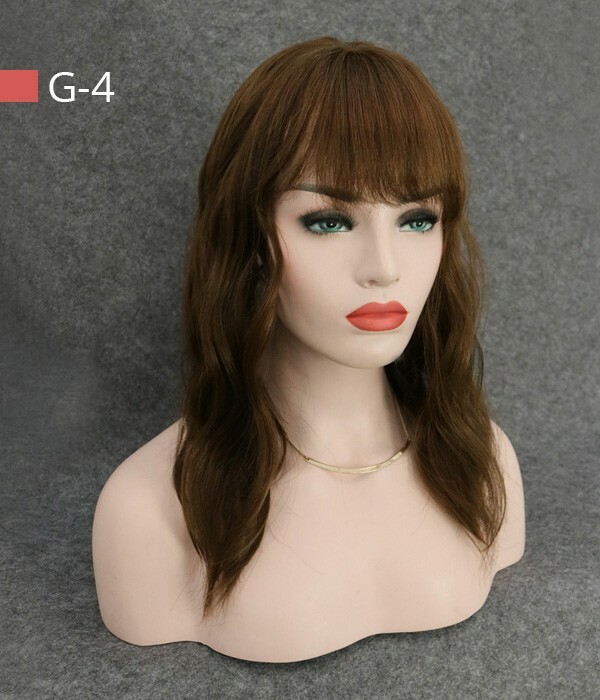 It is made from 100% human hair and can be heat-styled with a flat iron or curling iron with your hair creating the perfect blending. 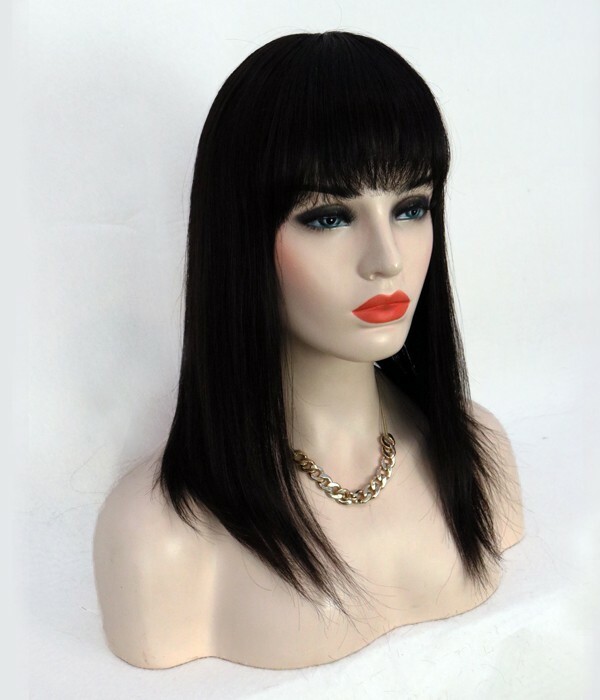 100% Human Hair: allows you to style the hair just like your own and make blending flawless. 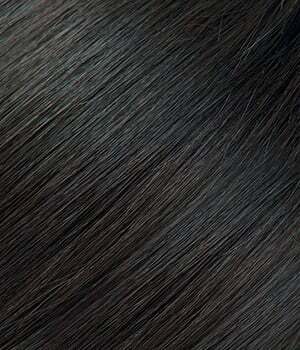 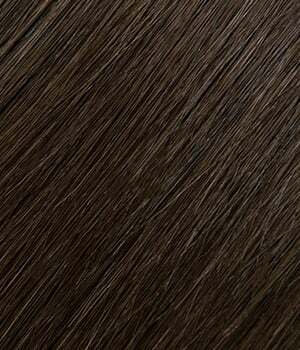 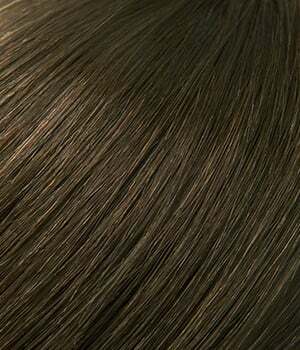 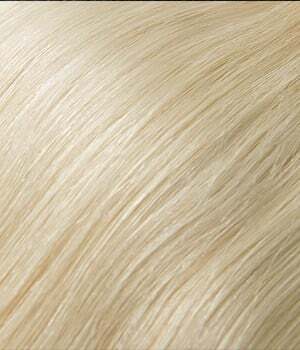 Silk Top Base: gives the appearance of your own natural scalp.